If you are a cat person you will know the love and joy of being ‘owned’ by a cat. And if you have been owned by more than one cat in your lifetime, you will also know how each one is as unique and individual as any person. You would recognise your own cat from a hundred, no matter how similar their markings or meows. And you would not swap yours for any other. He or she is the best cat in the world; they deserve your love, and the best care you can give them. 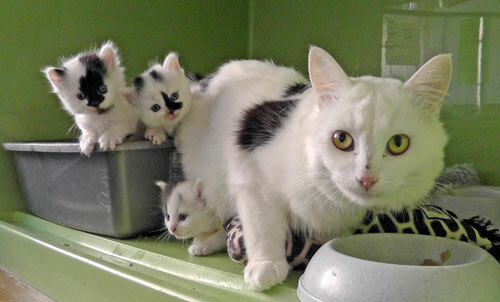 This is how Caring for Cats treats each and every unwanted cat or kitten that comes into our care. These animals may once have been pets too. But many have never known the comfort of a home. They do not survive as ferals in a busy city centre by choice. They did not choose to be left behind, without food or shelter, when their owners moved house. They cannot help being born in the cold and wet, to a stray cat left unneutered by ignorant people. And they especially cannot help being ‘feral’ and afraid of humans, which they have learned to be in order to survive. Our vision is for every rescue cat to find a happy loving forever home. Since 2000 our volunteers have worked to make room for these vulnerable animals. We care for them, provide veterinary treatments to bring back their health, earn their trust with kindness, and make sure loving and responsible families adopt them. Caring for Cats will not put a healthy cat down, regardless of age. Nor will it put down a sick, injured or elderly cat when its health can be managed successfully by medication or surgery. Any special cats that cannot be rehomed stay within the care of the charity and receive all the love and attention they need while living with our volunteer fosterers. You can make sure that we can go on rescuing and finding loving homes for all our cats. As a small volunteer-led charity any gifts in Wills (or legacies) we receive have a big impact on our work in Yorkshire. Our monthly costs average over £10,000 – at least two-thirds being direct welfare costs such as veterinary care and medication. So you can understand how grateful we are when a fellow animal lover goes on supporting our work by leaving a gift in their Will. No matter what size your bequest it will help us make a difference to the homeless, abandoned, injured, stray and feral cats that have no-one else to help them. 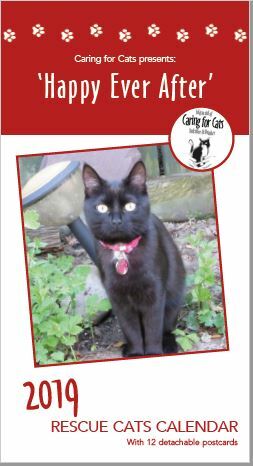 Leaving a gift to Caring for Cats, either money or property, allows you to make a real difference to local animals. You will know that your passion in life for cats, as feline friends and companions, can live on through our charity work. Together we can create a better world where every rescue cat has a second chance of a happy, loving ‘forever’ home. Just like the one you have always given your cat. A legacy is money or property bequeathed to another in a Will. It can be any value at all. Would leaving a gift affect my tax status? If your estate is liable to Inheritance Tax, you could reduce the amount due by choosing to give money to charity. Charity legacies are exempt from tax and the gift will be deducted from your estate (your money, possessions and property) before Inheritance Tax is worked out. 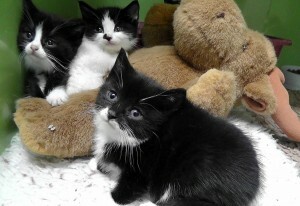 Would you agree to look after & rehome my cat/s if I pre-decease them? Yes, we would try to admit your pet/s as soon as practicable and do our best to rehome. Should your cat be too elderly or ill to rehome we would endeavor to find a foster home. Please speak to our coordinator Rose on 07967 627492 to discuss your circumstances and wishes, and be reassured about our ethical welfare and homing policies. How would you know I had died and my cat/s needed to be cared for? You should let your family, friends or neighbours know what your wishes are as well as including the request in your Will for your Executors to action. Once notified we will do our best to admit your pet as soon as space becomes available. You may wish to make a provision for interim boarding, particularly for multiple cat households. Disclaimer: This FAQ does not constitute legal advice and is provided for information only. Potential legators should always seek their own professional legal advice. If you have any questions concerning your cat’s welfare and rehoming, or about our charity’s ethics and practices, please speak to our animal welfare coordinator, Rose Atkin, on 07967 627492 (after 6pm). Or, if you have any questions about leaving a bequest in your Will to Caring for Cats, please speak to the charity treasurer, Steve Marshall, on 01430 421947 (after 6pm).